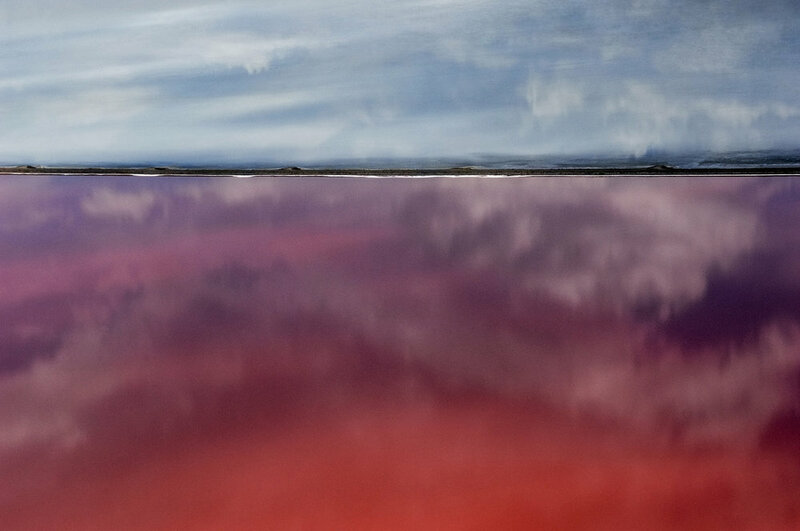 In 2005 while making a trip to photograph Robert Smithson’s work Spiral Jetty with black and white infrared film, I noticed the vibrant colors that the lake exuded. Using a digital camera during the helicopter flight, I photographed several images over the Great Salt Lake. Upon my return to the studio, I noticed that the intensity of the colors was even greater than what I had witnessed. After researching this phenomenon, I discovered that the bright, unclouded days and dry, atmospheric conditions—both hallmarks of the high elevation of the Great Basin desert—create an environment that is rich in ultraviolet light. 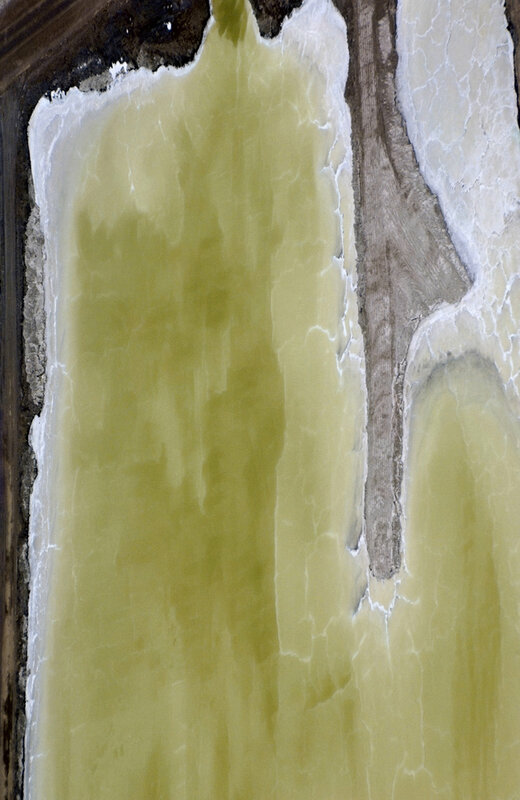 The Great Salt Lake also contains Halobacteria, which is able to thrive under harsh UV light by developing a protective crust of salt, opaque to the radiation. 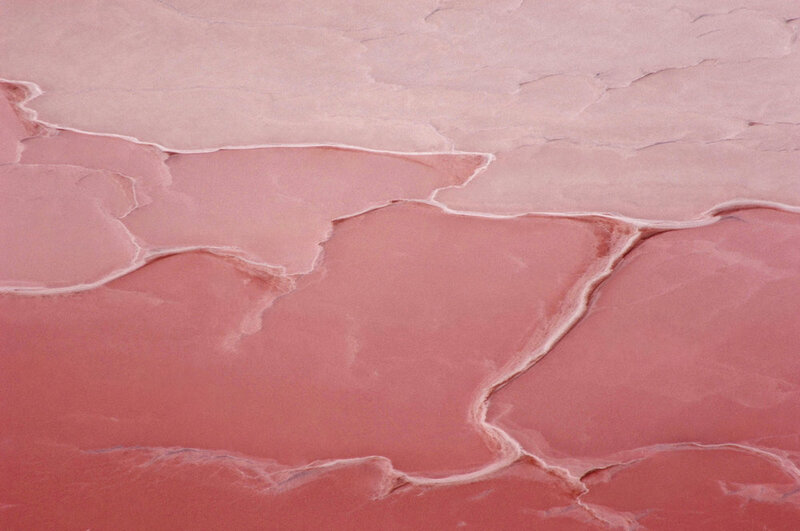 This crust gives the lake water its distinctive reddish hues. 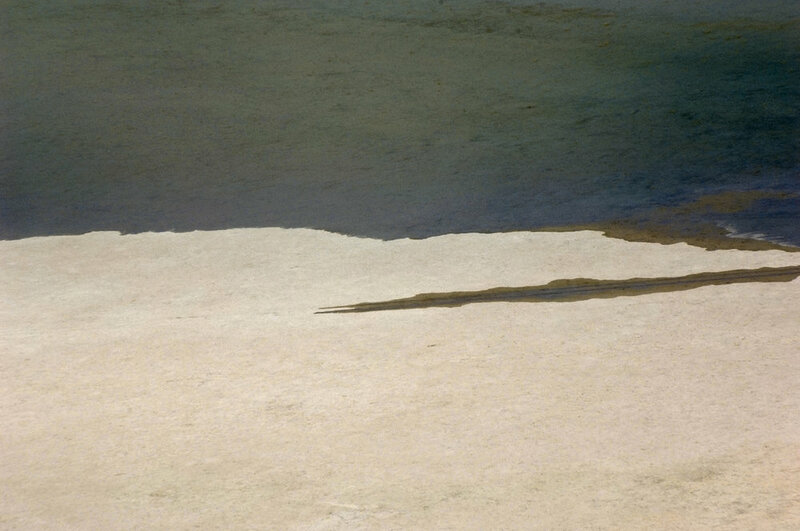 It also reflects ultraviolet light, heightening the surreal quality of images like Red Sea. I discovered that both the camera and the environment contributed to the ethereal colors that I was capturing. I then returned to fly over the entire Great Salt Lake to photograph these amazing colors and patterns that ultraviolet light was able to reveal.